Recurring themes keep arising during the creation of MOOP’s work and talks are a valuable way of exploring these elements at a deeper level, inviting experts and interested parties to take part in short presentations, panel discussions and activities that allow all present to contribute their thoughts and visions. 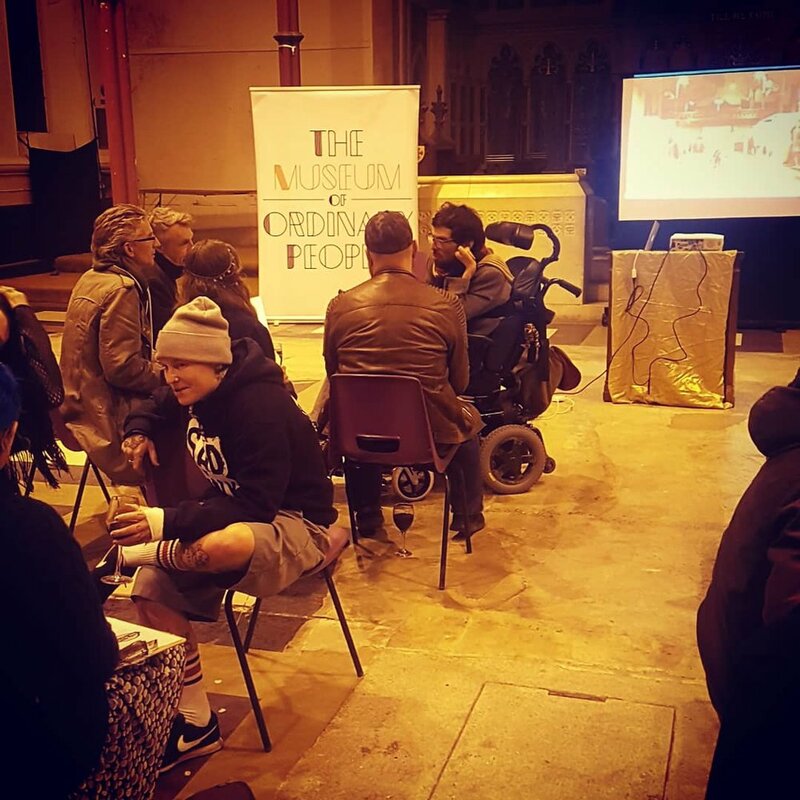 To date our talks have included MOOP TALK: MUSEUM at St Augustine’s Chapel, which discussed the future of museums with speakers: Edith Ojo and Tshepo Skwambane from Fashioning Africa, Richard Martin from The Tate and E-J Scott from The Museum of Transology. MOOP TALK: ACTION at The Spire, which discussed the power of community action with speakers Park Life: Save Our Parks, Brighton Table Tennis Club, Brighton Migrant Solidarity and #LWithTheT.